Welcome to the future! 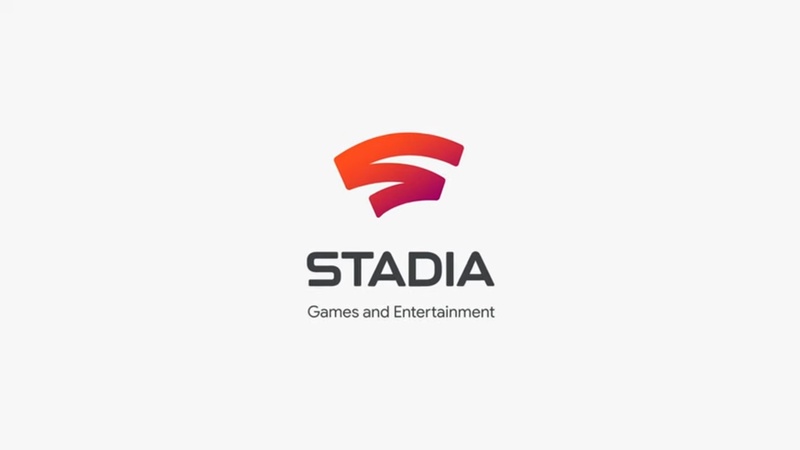 Amidst thunderous applause, Google unveiled its latest endeavor in this year’s Google GDC: Stadia! Can I run games which typically require very high-end hardware? Can it stream high-quality content? Will it support cross-platform and multiplayer gaming? Can I use my current controller? Which games will it offer? Lastly, how much will it cost me? Stadia is a streaming service for games. It will allow you to stream AAA games to almost any desktop, laptop, or mobile device with a Chrome browser. Yes, all the devices you already own. It will support keyboard and mouse input. Think of it as the ‘Netflix of games’. Thus, it’s a service that allows you to play high-end graphics games without the need for high-end hardware. In fact, you don’t need to buy any hardware at all specifically for this. All the games will be hosted on the cloud, which will allow users to play the games in under 5 seconds! That’s right, no downloading, no installing! Suppose a new game trailer comes out, after the trailer, a ‘play’ button will appear in the end which will take you straight into the gameplay. Cool? Yeah. Futuristic? Totally! There is only one reason which makes it groundbreaking: NO HARDWARE REQUIREMENT! In the words of Google, they want to eliminate the friction between wanting to get a new game and getting it ready to play on your device. Yes, because the game is not actually running on your device, but rather streamed locally from the cloud. Think of it as a game running on a high-end desktop somewhere in the world, the visual and audio of which is being streamed on your device. This enables devices with little hardware capabilities to run games which would normally require expensive hardware. Google aims to discard hardware completely and switch ‘gaming’ to the cloud, instead of consoles. And because it is streaming content, you can jump over from one device to another and resume playing from wherever you left off. 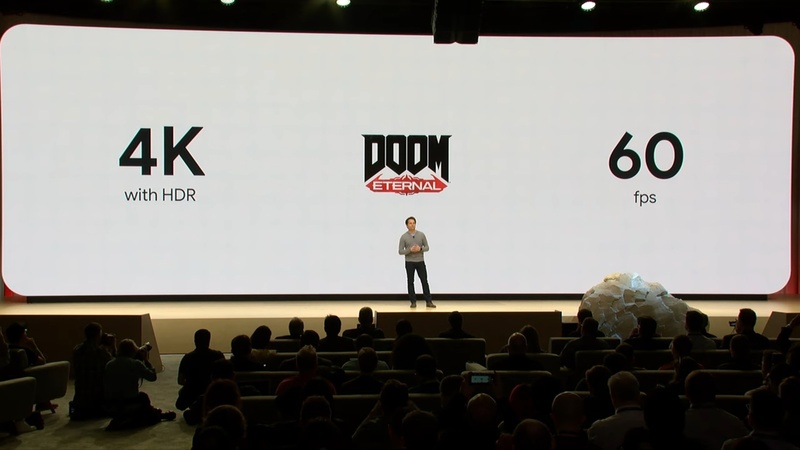 Google showcased gaming on Stadia from a Chromebook, a Pixel, and a PC with low-end hardware at Stadia’s unveiling at GDC 2019. Stadia can stream up to 4K resolution, at 60FPS, in HDR, with surround sound. And that’s damn high-end, in case you’re wondering! You need to spend a ton of money on PC gaming to get 60FPS 4K gaming — really! Google plans to scale it to 8K resolution at 120+FPS in the near future. That is way above the current standard for quality PC gaming. Regarding gaming performance, Google proudly flaunted 10.7 GPU teraflops, compared to 4.2 and 6.0 from PS4 or Xbox One respectively. Yes, and yes. Google also said that streaming from the cloud will eliminate cheating or hacking completely. We’ll see about the latter, we should know better when it’s part of our lives. Google has introduced its own gaming controller for a fuller, richer experience, but existing controllers will be supported. The Stadia controller, however, will connect wirelessly to the cloud and it will identify which device and which game you’re currently playing. It also sports a Google Assistant button and quick sharing button for gameplay shares. A fast and stable internet connection, and whichever device you can find lying around with Google Chrome browser. Playing a game on Stadia will be as simple as opening a new tab on a browser. Google requires a streaming rate of 15Mbps, latency below 40ms, and data loss below 5%. Which games it will offer is still unclear, but we do know what kind of games it CAN run. If you were to get better graphics, let’s say 30FPS on 4K res, the requirements are increased to 16GB RAM, and a more powerful AMD Ryzen 1700X or Intel Core i7 7700 processor, and a mightier Nvidia GeForce GTX 1080 or AMD Vega 64 graphics card. When you were to play the game with Google’s Stadia, these requirements are completely eradicated, which means you can play Assassins Creed in 4K, at 60FPS (!!!) — even on a regular laptop or desktop that your sister has. It is still unclear regarding how Stadia will be monetized. Will it be offered on a subscription like Youtube Red, or will it be monetized via ads? 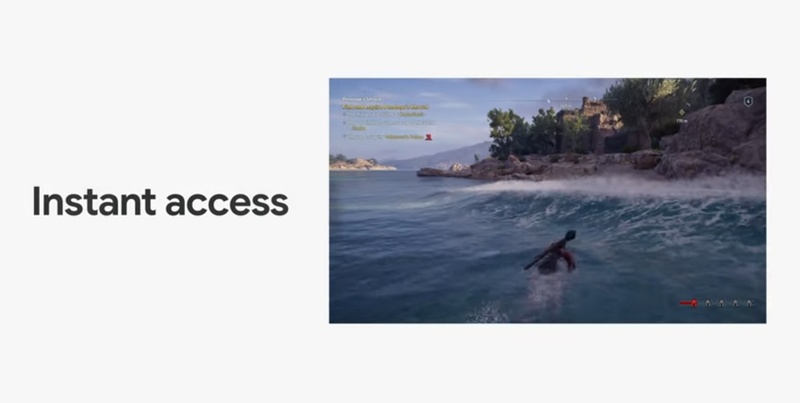 Google stayed clear of mentioning the way it will monetize this new gaming experience. In conclusion, the gaming world has completely changed with the introduction of Stadia. Consoles and high-end gaming PCs might become completely obsolete. It really is a new era in gaming, and also a massive look into the software capabilities of this tech giant that we know as Google.